Summer means longer days, warmer nights, rooftops at sunset, and .... a signature summer drink. When I think of what makes a good summer drink there are 3 basic rules that come to mind: refreshing, fruity, and light. 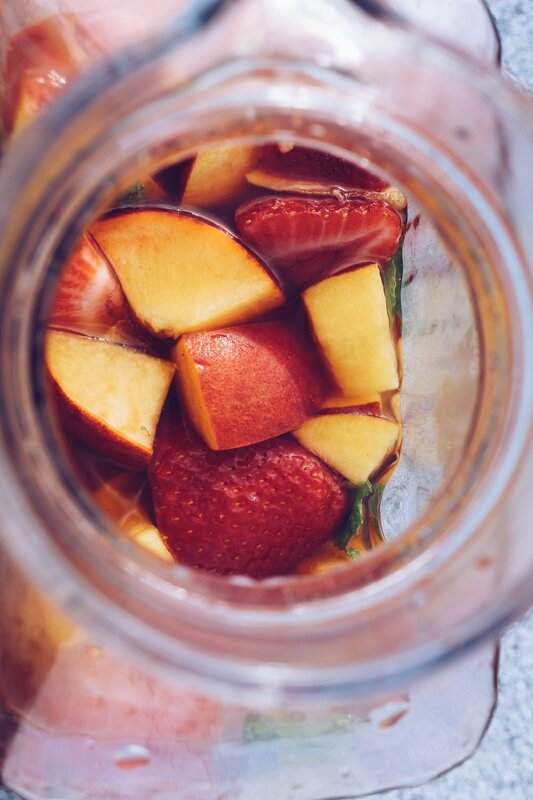 All of the components that make up this recipe for Summer Sangria. Instead of using the traditional red or white, I decided to go with my wine of the moment, Rosé ! 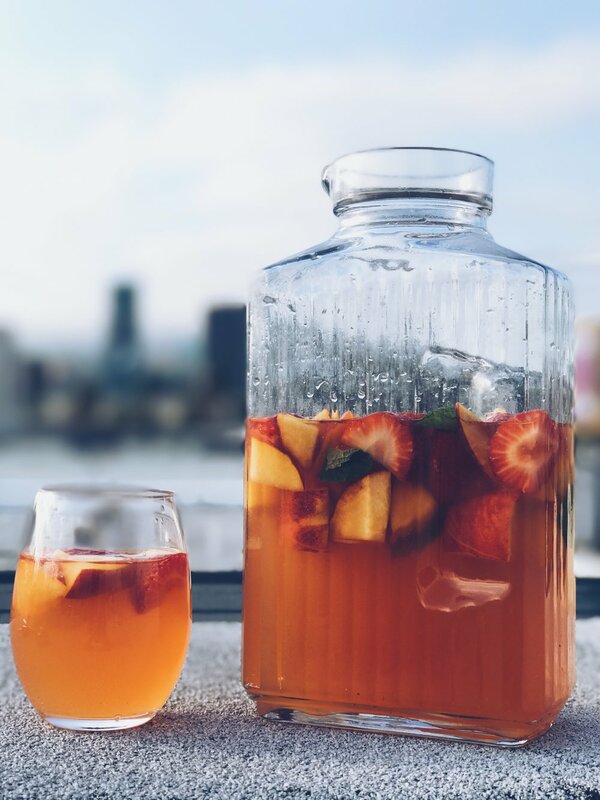 Coupled with some sweet California strawberries and peaches, it's the perfect recipe for a summer nights on the rooftop with friends. So raise a glass and cheers to Summer '18! Combine all ingredients in a pitcher & adjust ingredients to taste. Refrigerate for several hours and serve chilled, over ice.